EXCLUSIVE: Joey Miles Suffers Injury at Beach Break; How Long Will He Be Out? EXCLUSIVE: Emery Layton suffers concussion at No Man's Land? BREAKING NEWS: XWA announces first-ever "No Man's Land" match & slight schedule changes! EXCLUSIVE: Backstage fallout from #XWAChile Main Event - Officials FURIOUS! Smith Jones Post Match Backstage at Legends! BREAKING: Fool's Gold Match Stipulation Revealed! BREAKING NEWS: UPDATE on XWA Massacre commentary during Lord of the Ring! 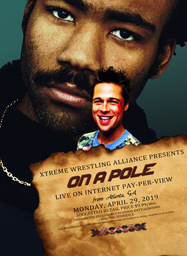 Rumor: Absent Robert Hope Resurfaces; XWA Debut To Finally Go Ahead? XWA Announces "Unbound with Laura Stark"!